I’ll be totally honest: I’m more of a balm/tinted balm/lipgloss girl, but you don’t get quite the same sense of satisfaction pulling out some spindly doe-foot wand, as you do by twisting up a pristine lipstick bullet, am I right? 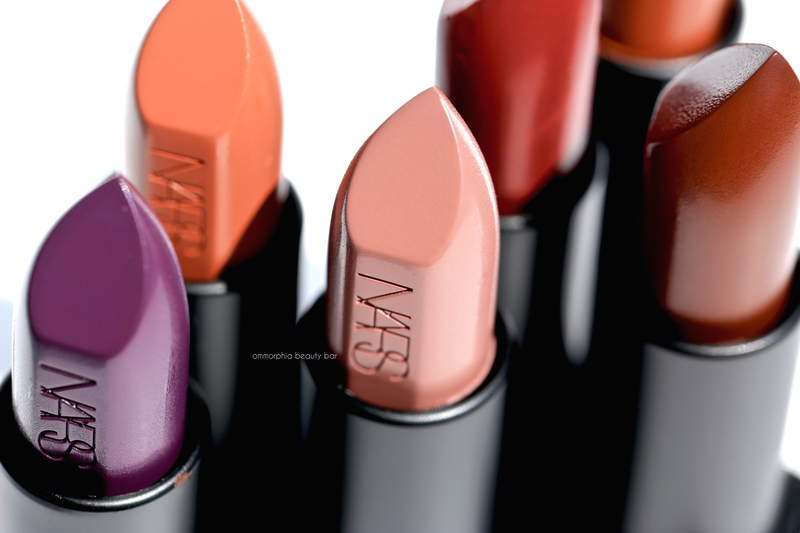 Of course, the buttery-rich formula of the NARS Audacious range doesn’t hurt the cause either, and today’s post is about the 6 new colours that were added to the lineup, along with the 3 limited edition shades in the Audacious Mascara range. Audacious Lipstick (CAN $41.00/each) | If you’ve yet to indulge in a lipstick from this range, then you’re in for an absolute treat. For starters, all the colour groups are represented: neutral nudes, classic reds, vibrant and soft pinks, mysterious deep hues, as well as eccentric & outrageous tones. Then there’s the intensely pigmented formula that’s brimming with a smooth, buttery texture that provides full coverage with a single swipe. Lastly, and as an extra perk, you may be one of the lucky ones that can find a shade that bears your name; not many beauty products are named Eugenia, sadly, so I’m pretty much out of luck there. 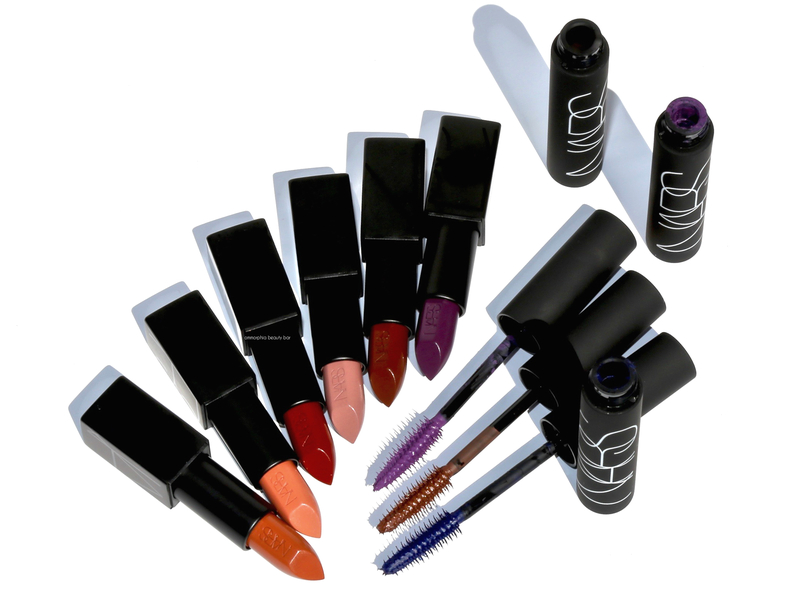 Staying power is impressive as well, with the emollient nature of these lipsticks providing a moisturized feel throughout the wearing, and no messy slip to deal with. Audacious Mascara (CAN $34.00/each) | Not including lip balm and sunscreen, mascara is the only beauty item I refuse to ever be without but there again, not all mascaras are created equal … and my standards are ridiculously high; I primarily look for volume, but length is good too, with curl clocking in as a bonus (my lashes have a good natural curl, so I’m not bothered with whether a mascara can deliver in that area or not). I also want my mascara to last intact without flaking, smearing, or creating those dreaded under eye crescents but clumping doesn’t bother me, since I find a bit of clumping helps by adding thickness to any sparser areas — and can even be brushed through if absolutely necessary. Finally, I want/need my mascara to be easily removed at the end of the wearing, without needing to use excessive force on delicate lashes. 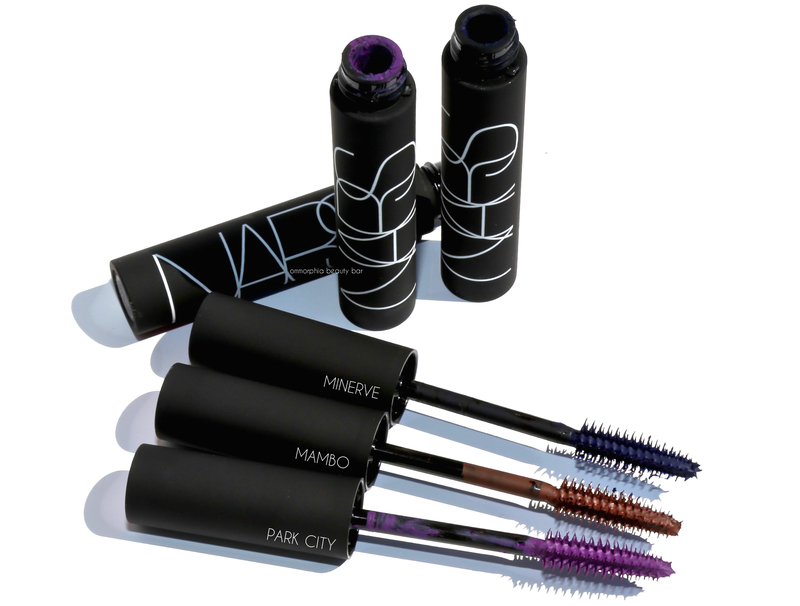 So how does the Audacious Mascara stand up to this list? It scores high marks on all points, that’s how. The original Black Moon shade is one I’ve gone through multiple tubes of and will continue to keep in my arsenal, and now I can have fun playing with coloured versions of one of my fave mascaras. 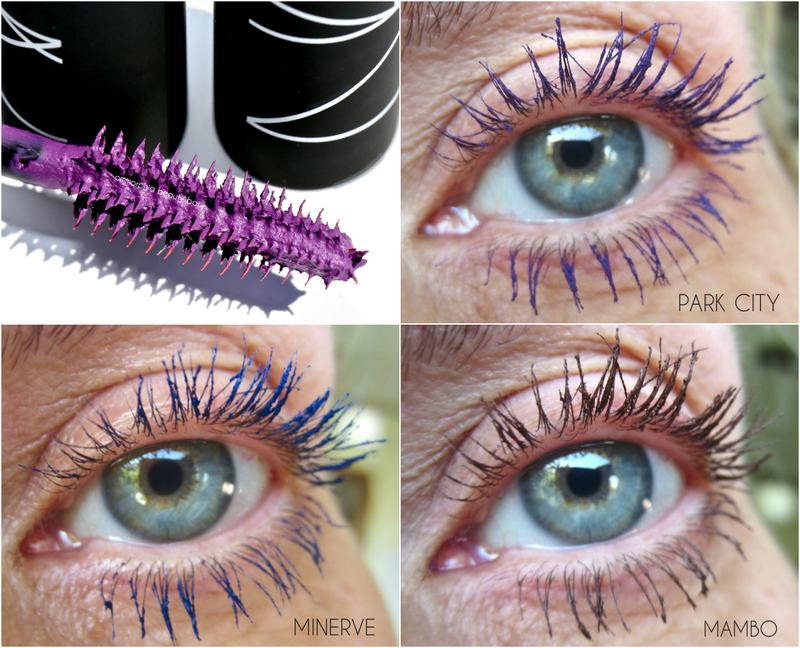 TIP: try the purple shade of Park City to make green eyes positively stand out, Minerve‘s blue colour utterly compliments brown peepers & serves to also brighten the whites of all eyes as well, while Mambo makes for an excellent ‘natural-looking’ option. What a nice collection! I like everything in it, especially those non-trivial shades. And I think it’s really good timing, because the colors are perfect for spring! 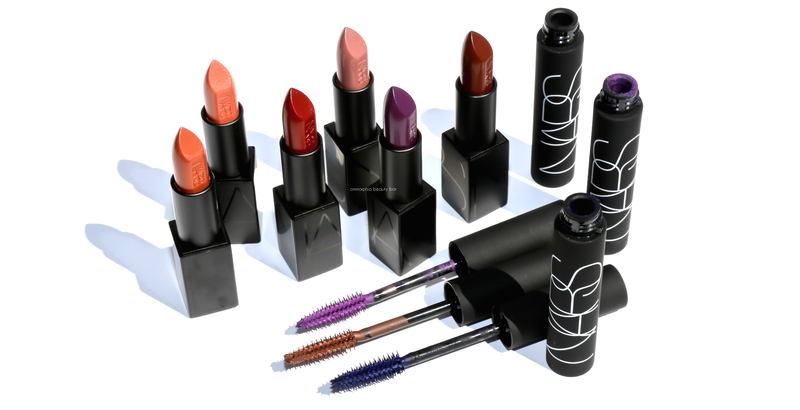 One of the things I’ve always appreciated with this brand, is the inclusion of so many unique shades that still manage to be wearable — Francois Nars definitely has an eye for colour! I love that blue mascara! Too bad that it was limited. I have been wearing Chanel Dimensions in Cobalt, but it seems to be disappearing. Would you know if they are they discontinuing Dimensions? It was a permanent shade. It’s still on the Chanel site, but gone from the on-line stores for Holt’s, The Bay and Beauty Boutique. Will have to get to a counter soon. Thank you!